If you’ve been tasked with implementing a commercial recycling program for your office, where do you begin? 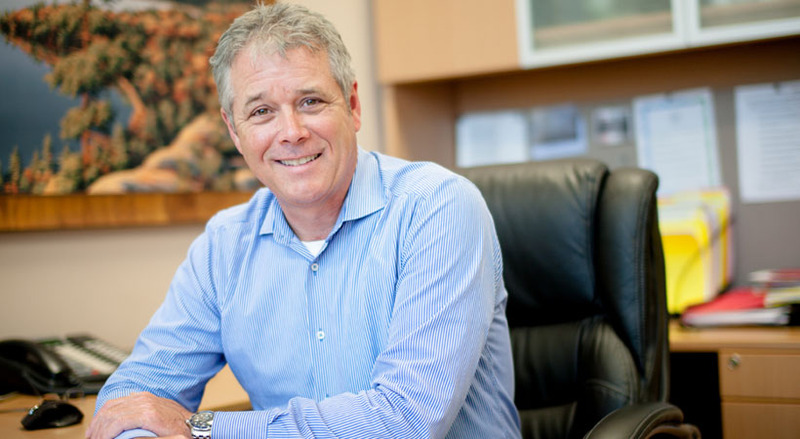 To help you understand what goes into starting an office recycling program and what you need to consider to run an efficient one, Bruce Buchan, CEO at CleanRiver Recycling Solutions, provides some pointers. 1. The size, location, and function of your office space. 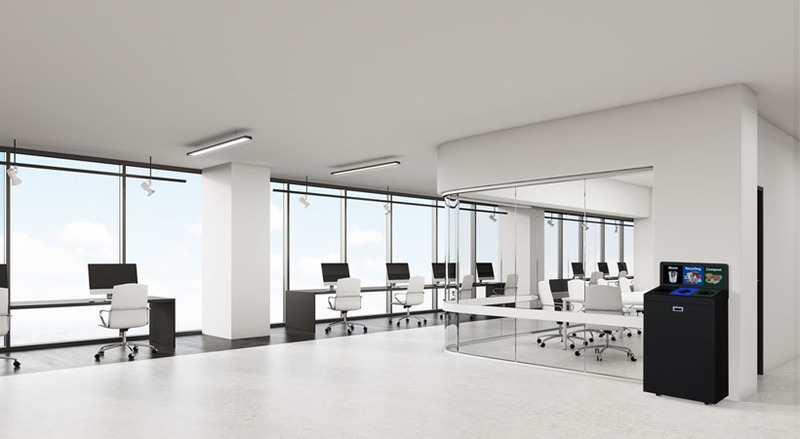 Think about what types of different spaces comprise your office. 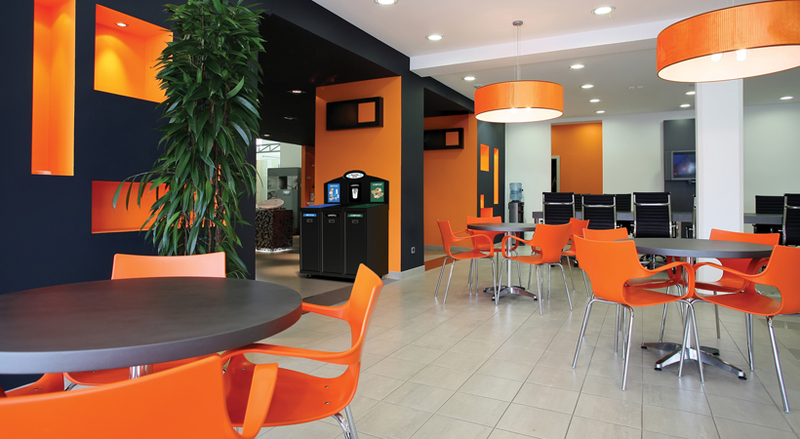 For example, is your office primarily a working area with a separate staff dining area as well? This becomes important as different spaces will require different recycling solutions. For example, call centres are typically paperless and they don’t have a lot of waste generated at the desks. However, they normally have break rooms where people eat lunch and snacks. This means both areas have completely different recycling needs. 2. The number of employees and visitors. As a rule of thumb, one recycling bin per 50-75 people is a good starting point, but this all depends on the density of people. This is because high and low density commercial spaces will have different recycling program needs. If you have a high density space, say an office filled with many cubicles, then recycling stations should be easy to access. In this instance, you will most likely need a small number of larger bins to accommodate the flow of recycling. However, if you work in a lower density office space where employees are spread across a large facility, then you’ll want to base your estimate on traffic flow, not the number of people. You will need to determine how many high and low traffic spaces there are, as each type of space will require different sized bins. Note: Do you need bins outdoors? If you need outdoor bins, base your estimate on traffic flow rather than the number of employees. If you have areas where people congregate, then chances are they’ll have waste to dispose of, e.g. at entranceways or outdoor eating areas. 3. The volume and type of materials being collected. Does your office primarily recycle paper and bottles, or is there organic waste as well? Keep in mind new materials that could change your recycling needs. For example, if you introduce recyclable, clam shell packaging in your cafeteria. The discarded clam shells take up a lot of room, so your recycling bin will fill up quicker and therefore, you will most likely need larger bins to accommodate this. 4. How recycling is currently collected, stored, and handled at your office building. It’s important to know the custodial schedule and how often the bins are emptied. The less frequently they’re emptied, the more bins you’ll need. 5. The capabilities of your waste hauler. Is your waste hauler set up to accept the streams you want to collect? For example, a waste hauler may charge $100 to pick up waste, but they won’t charge for recycling or paper or they might even give you a rebate. In the case where your current waste hauler does not accept a certain recycling stream you wish to implement in your office, you may need to invest in additional services to properly remove the waste. By evaluating the five factors listed above, you will be able to successfully assess your office’s recycling needs, thus allowing you to implement the most efficient and effective recycling program possible.